Bundling a group of adults into the car is easy – sit up, belt up, and shut up. When it’s a newborn baby, though, things get more in-depth. In order to keep a baby safe in a vehicle, you’ll need careful planning, the right equipment, and the right execution. And it’s also vital you get it right – a baby’s fragile body can be devastated if they’re involved in a car accident and not strapped in correctly. Luckily, help is on hand, and securing a baby in a car need not be too difficult. Here are some top tips for travelling with a newborn baby. This is the most crucial aspect. 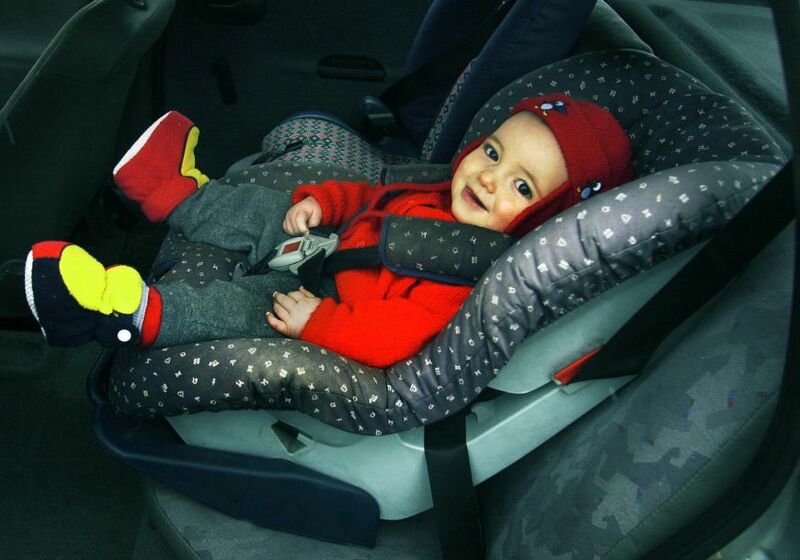 Infant car seats are rated by weight, and as your baby grows, they will have different needs. For maximum safety, young children should travel in a rear-facing car seat for as long as possible, switching to a front-facing one only when they’ve outgrown it. The different classifications of car seat can be confusing – should you look at group rating, age rating, or weight rating? For this reason, we’d recommend consulting an expert before you buy, to make sure you’re purchasing the correct seat. And remember, not only is using an inappropriate car seat seriously dangerous, it’s against the law and could land you with a hefty fine. Even the right child seat will be useless if it’s not fitted correctly. There are two main types of child seat fitting – those that use the adult seat belt, and those which clip into special restraints known as ISOFIX. Seat belt fitted seats can be used in almost any car, but can be complex to fit. The seat will contain guides where the adult belt has to be woven through. Make sure the belt lies flat across its whole length, and before seating your baby ensure the child seat itself lies flat on the car’s seat squab and is tight up against the seat back. ISOFIX seats are simpler to fit, with less chance to get things wrong. 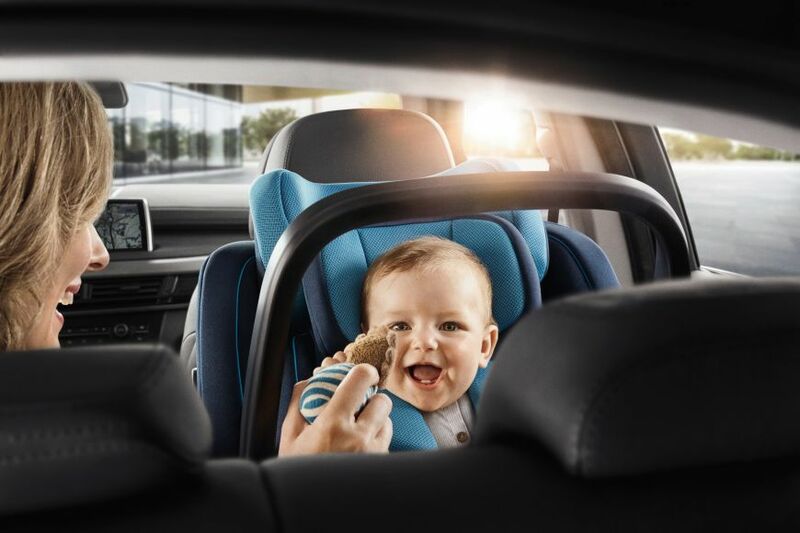 ISOFIX points are located in the seat’s hinge, and can be easily connected simply by pushing the child seat in until you hear a click. Different seats will then either have an extendable leg, which sits on the vehicle’s floor, or a top tether which hangs over the seat back to a further ISOFIX point. 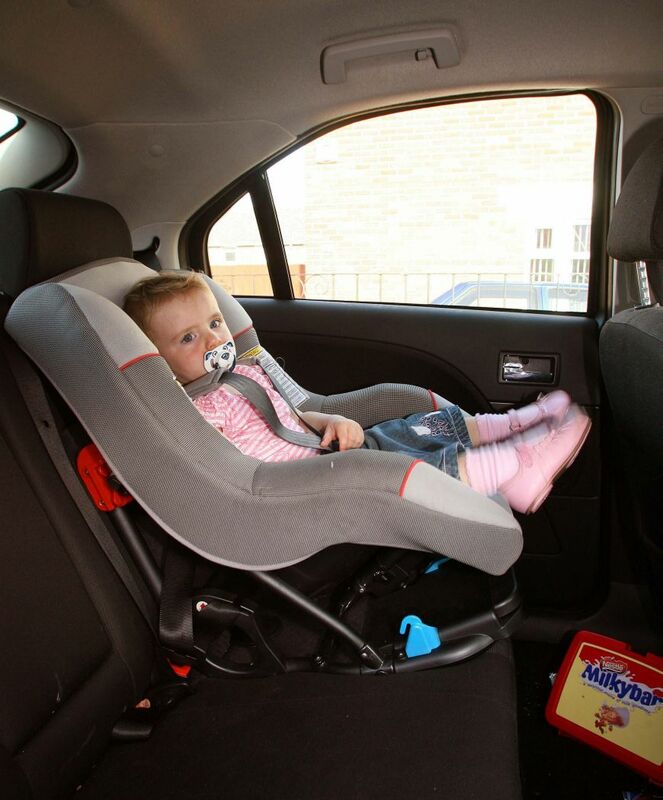 If in doubt, contact your child seat manufacturer for a fitting guide – and always double and triple check before setting off on your journey. While your vehicle is in motion, always keep your baby strapped in. The seat straps should be just tight enough that you can slip two fingers between your child’s body and the straps at their collarbone. For the straps to be effective, the child’s arms must be free – so never swaddle in a blanket. If extra warmth is needed, place a blanket over your child after they’re strapped in, but don’t go higher than the armpits. Travelling in one position for too long can lead to a drop in oxygen saturation levels in newborns, so schedule regular breaks every 90 minutes to allow your baby time out of their seat. To minimise risk, keep the backrest at a 45-degree angle. Finally, if you’re alone in the car, grab yourself a baby mirror. These supplement your car’s existing rear-view mirror, but give a clear view of the back seat – giving you some peace of mind. Imperial Tips: What is washer and how to refill it?